Have you ever watched Bruce Lee use nun-chucks? The world of Facebook Ads is a metaphorical nun-chuck: a powerful tool for your online business...if you know how to wield it. Facebook Retargeting is a potent ad strategy and it can ramp up your sales and take your online business to the next level...if and only if you have enough traffic to build a retargeting audience from in the first place. I can already hear you groaning in frustration at the mention of having to generate traffic to your website. Don't worry, what I'm going to show you is a cheat code to get around this frustration (and many others). Today, you'll discover how to generate extremely relevant cold traffic to your website using the Facebook platform itself. To show you anybody can do this from scratch, I will take an area I know nothing about and use a few tricks within Facebook to learn everything I need to develop an extremely relevant custom audience I could then use to level up my online business. Unlike other advertising platforms like Google Adwords, where ads are based on keywords people actively search for, Facebook targets ads based on demographics. This means you’re showing ads to people who aren’t necessarily looking for a solution to a particular problem. That’s why showing relevant ads to a relevant audience is essential to a successful ad campaign. Again, this is because a highly focused audience means more conversions and more sales from your ad. People who click your ad are interested in what you’re promoting, even if they don’t convert on the visit. If you run the ad campaign long enough you will build up enough traffic to your site to take advantage of Facebook’s retargeting. You can then create a retargeting campaign to try to convert the warm leads into customers later on. To show you how you can do this for your own industry, I'm going to pick a random topic I’ve never done research on—woodworking—and take you through the process step-by-step. Normally, to really understand what your potential customers’ interests are you need to do a lot of time consuming research to create an accurate buyer profile. This involves things like: lots of brainstorming, customer calls, support calls, live chats, surveys, social media conversations, etc. Most of you will already have a general idea of your competition and the relevant Facebook pages in your industry. But, since I know nothing about woodworking, I will be starting with the Facebook search bar to help me find a relevant page to begin. 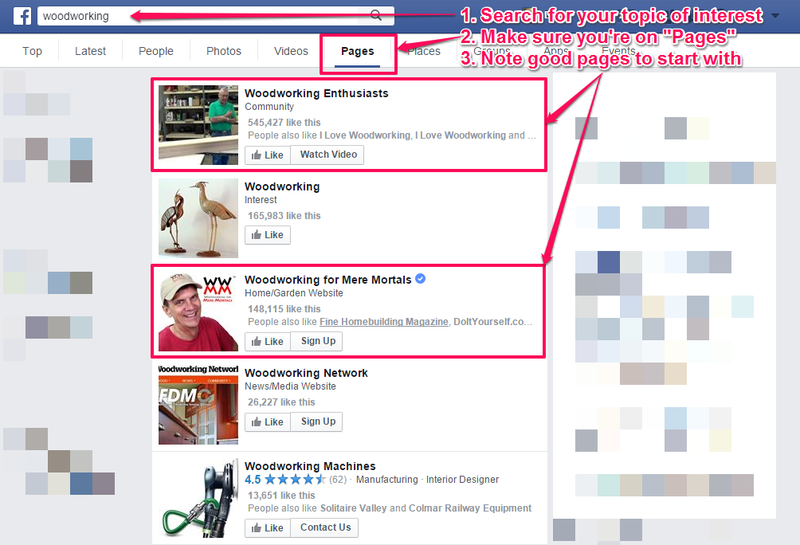 In the Facebook search bar I simply put “woodworking” and hit search. After results are loaded, I make sure to select “pages” at the top and then note down some relevant and popular pages (pages with > 100,000 Likes). Note: If you can't find a decent amount of pages with >100,000, scale it back and look for pages with >50,000 likes. A new page will open with lots of code. Hit “Ctrl+F” (“Cmd+F” for the Mac users) and in the search bar type “page_id:”. The Facebook Page ID will be the number following. Copy this number. Now, you’re going to use: https://www.facebook.com/pages/?frompageid=ID and paste the number you just found for “ID” in the URL above. 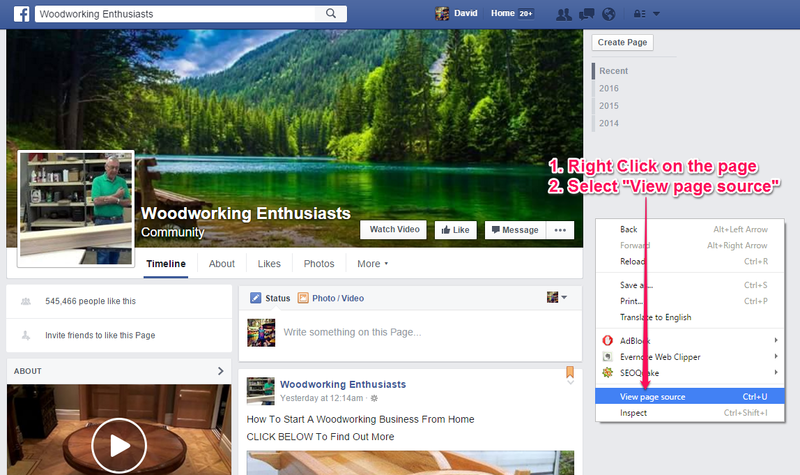 This will give you pages similar to “Woodworking Enthusiasts” like you see above. Again, note down relevant and popular pages and then pick a new page and do this process a few times to build a list of relevant and popular pages in your niche. 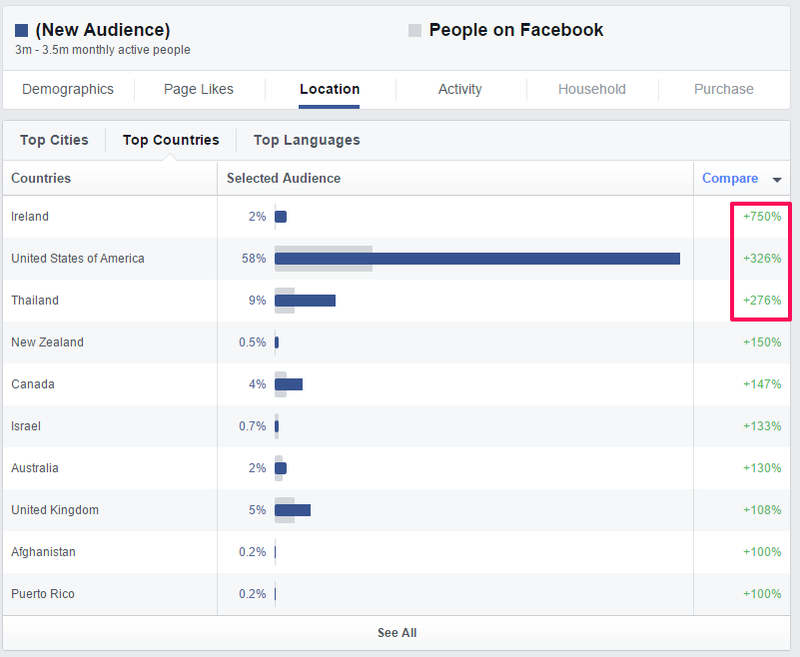 Now it’s time to really dial in on an audience by using Facebook’s Audience Insights Tool, found here. The first step is to enter the pages you found in step two into the Interests section of the tool. Search for the pages you found in Step 2 and add them in the Interests section. After inputting the interests, I get an audience size of 3-3.5 million people, which is still too large. So I’m going to use some of the information the tool provides to narrow down the audience even further. Note: Not all of the pages you found will be listed as an interest, but the hope is some or most of them are. This is why you try to pick popular pages with over 100,000 likes. First, I’m going to look in the Demographics tab and see what I can find. The tool will compare the audience you’ve input with the rest of Facebook, which you can use to learn about the type of people in your industry. Using the demographics tool to find out information I can use to target my audience further. For example, looking at relationship status: 52% of the people who like the woodworking pages I input are married, when you look at ALL of Facebook, only 17% of people identify as married (a difference of 35%, seen in green). Now compare this with the single column: 26% of the people who like the woodworking pages I input are single, when you look at ALL of Facebook, 59% of people identify as single (a difference of 33%, seen in red). It seems people interested in woodworking tend to be married. Noted. You can do this type of analysis on the other sections found in Demographics. I’ve boxed what I found interesting for the woodworking industry above. Next, I move on to the Page Likes section. Facebook will show (and categorize) you even more pages resonating with the audience you’ve input. Many of these will be similar pages you found using the related pages technique discussed in step two. But sometimes you’ll find pages you missed in areas you didn’t think about. Use the page likes section to learn more about what your audience likes. It can give you great ideas for other areas to target later. I’ve highlighted some other pages that could be added to your targeting above. If anything, these will give you more insight into what your audience is interested in for more targeting later on. Finally, I’ll look at the location section to see where the majority of these people are living to get a good idea on what locations to start my targeting with. I can put these new parameters into the Audience Insights tool to reduce the audience size from the 3.5 million we started with down to 80k-90k. Note: Depending on your budget and the area your product is in, this might still be too large. If that’s the case, eliminate some parameters (for example, change from both male and female to only male) to narrow down the audience even further. If you’ve performed all of the steps you now have an extremely relevant and highly targeted audience for your industry. 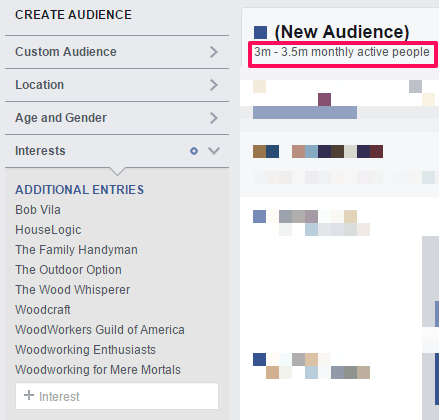 You can now save this audience (at the top of the audience insights page there is an option to save) so you don’t have to input all of these parameters again in the Facebook Ad Manager when you’re ready to create/publish your ads. Once you have some ads ready, you can apply this technique immediately to start sending relevant traffic to your website and start leveling up your online business. Not only are you sending relevant cold traffic to your website—meaning more conversions—you're also creating massive opportunity for your business down the line when it comes to Facebook ads! Rinse & Repeat — Create a new audience using different pages and parameters found using this technique or from the results from this first ad campaign. Create A Lookalike Audience — Use Facebook to create a Lookalike audience from all the new traffic to your website. Once you have the Lookalike audience created, you can use the information you already know about your target audience (demographics, jobs, locations, etc.) to selectively target the lookalike audience even further. Not everyone who visits your site is going to convert. So you can create a retargeting campaign to serve ads to the visitors who didn’t signup/buy. It’s an extremely effective strategy and you can learn more about how to do it effectively from this post. It's best to create a Lookalike audience from people who have actually converted on your site, instead of creating a lookalike audience from people who have only visited. If you're selling a product, it might take a long time to build up enough conversions to build the Lookalike audience. It's also much harder to get cold traffic to buy something without building rapport first. Now, go be Bruce Lee with your new Facebook nun-chucks! If you have questions leave them in the comments below and if you have successfully tried this technique, leave those stories in the comments as well! My 80/20 focus is on Facebook marketing since Google+ is dead and Twitter’s in trouble. I’m current building my Facebook page, so thanks for the excellent and detailed insights. It’s definitely a powerful tool, so it’s a good spot to put your focus. Glad you enjoyed the post and glad it was helpful for ya! Awesome ! Will be using this exact tutorial to set up my campaigns in the next few days! Fantastic post. I literally just launched my first facebook ad for a brand new blog about 3 hrs ago….and just now I get an email from Thrive showing me how to do it much better. Nice! Yes! Let me know how it goes Gary! Any examples of ads that work? Glad you enjoyed the article Sherwood! Thanks for taking the time to leave a comment and let me know :) As for ads that work…it’s a tricky subject as what works for one person might completely bomb for another. Boom! Great tips Dave. Thanks for sharing. 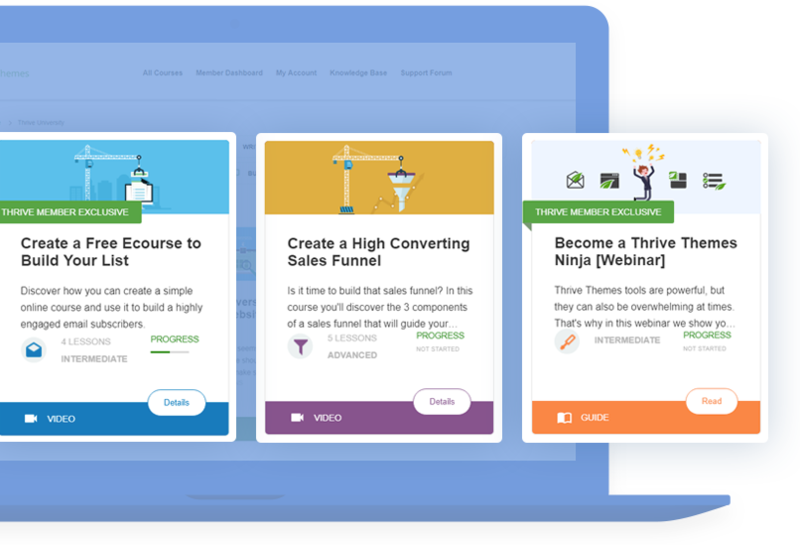 Great article and neat ninja FB moves Dave D – and love your site too – especially as it’s the first I’ve come across to use Thrive’s text highlight feature. Thank you. I appreciate that Alfred :) Glad you enjoyed the article and found it helpful! *THAT* is awesome info Dave! Thanks so much for the marketing wisdom! Great detailed article. However, you lost me somewhat in the “Lookalike” concept which was discussed fairly matter of factly. Probably my fault but could you expand on that somewhat? Ah yes, sorry I kinda breezed over that part. A “lookalike” audience is an audience Facebook creates for you. Facebook would then use their algorithm to create an audience of people who are similar to those people. Awesome post Dave! What would you recommend for a B2B biz that caters to many different industries like a web agency? Hey Chris, this post is still applicable for B2B as well. For instance, one targeting option is “Facebook page Admins” this allows you to only target people who are admins of a Facebook page, most likely to be business owners. Another targeting option helpful for B2B would be the “Job Title & Employer” option, which allows you to target people working in specific companies or users with a certain Job Title. For example, you could target CEO’s. 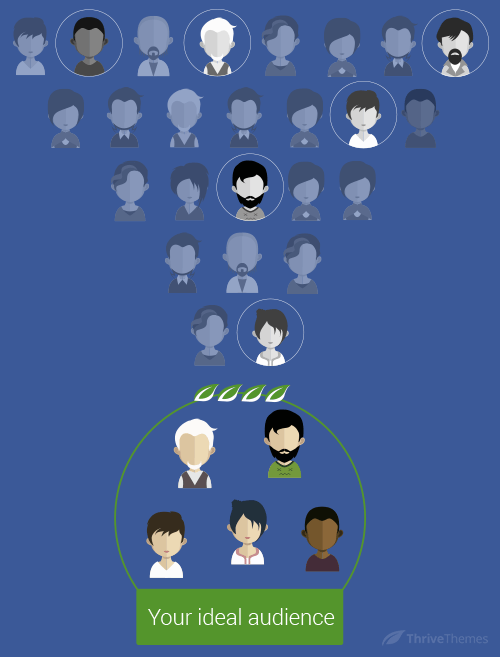 This is a very cool way of finding out the common denominators with paid clients. Add their emails into FB and build a lookalike audience from them. Then see what their commonalities are – is it gender / age / location or a combination of those? When you have this data you can recreate your ideal customer avatars to fit. This means going forward all your online content is more likely to convert. Of course, it will all work so much better if we actually talk to our buyers to understand their language, but until then why not let FB do it for you? It’s definitely a quick shortcut before digging into the more time consuming research, which is still EXTREMELY helpful. Very interesting tactic here.. adding their emails into FB and build lookalike audience. Can you expand on this step? Is this considered ‘spam’? Recreating your ideal customer avatars to fit? Can you expand on that as well? I am interested in building my 1st FB campaign for my online course for Periscope.tv, but really am intrigued by some of the hacks here. Thanks again for sharing. Glad it was helpful, David! Great information Dave. I primarily help local businesses with their Facebook marketing, and some of your insights will definitely help. Is there anything specific you would add that my be beneficial to local marketing that was not covered in your article? Dig deeper into the location targeting as it will allow you to even target specific cities, which will be helpful for you. This is a fantastic article and it came at just the right time! We are setting up some specific sites for local markets and I will be using this information when setting up our FB campaigns. Thank you for such a great and actionable resource! Awesome to hear it was perfectly timed for you, Steve! Top notch post right here. Going to do this tonight and let you know my results. Thanks Dave. My target audience is generally B2B but I think I can adjust your methods to help me find them on FB. Hey Tom, this post is definitely still applicable for B2B as well. I mentioned this in a comment above as well but there are options you can take advantage of as well. One targeting option is “Facebook page Admins” this allows you to only target people who are admins of a Facebook page, most likely to be business owners. Thank you Dave! I have been meaning to do another FB campaign and now is a great time to try out your strategies. Sounds like it was perfect timing then :) Glad you enjoyed the article Leelo, let me know how the strategies work for ya! Great stuff! Facebook ads have always been something thats easy for me to understand the concept, but really confusing for me to undestand in practice. Thanks for explaining all these details about how to actually use Facebook audience targeting. Glad it was helpful for you Lij! I appreciate you taking the time to leave a comment and let me know. Dave, very timely article. I am about to venture into FB marketing and this is one of the best explanations of how to go about it I have seen so far. I will be following your recommendations to the letter. Thanks. Unfortunately, with FB Ads in Spain options are much more limited, which is why I think some of your strategies cannot be implemented! Also, I am finding that, altough my campagins with FB ads are sucessful in terms of new leads (subscribers to newsletter), I am not so ure these leads are high quality and will convert into customers. Many people are just attracted by the freebie. Once they download it, the unsubscribe. O as soo as I start an automation and they see that I not only offer “free” stuff, the leave. Any thoughts? I would need to know more specifics about your freebie, your site, etc. to be able to offer any thoughts on that area. However, it’s reality there are many people who will join just for free stuff. Consider it a blessing they unsubscribe, because they never have any intention of buying. Shane – Outstanding material! I’ve been using this for several months. In fact, there are people who SELL this very method as a course for $497 – so Kudos to you for benefiting your clientele this way. You are genuine for sure! Awesome Dave. This is an incredibly valuable post. I’m taking the Udemy course now (paid) and one tip is to use a video ad instead of a picture ad. It supposed to be 80% cheaper since fewer people do it. Not sure approval rates for the ad though or exactly the type of video they are looking for. Got to do some testing once I get my Thrivetheme site going. I’m a monthly member and love what Shane and the team has created. Glad you enjoyed the post Martin! I’ve also been hearing good things about video ads and we have plans to try them out as well. We’ll see what the results are! Hahaha, glad you enjoyed the post Sam and I’m stoked you enjoyed my personal site as well! Great post. 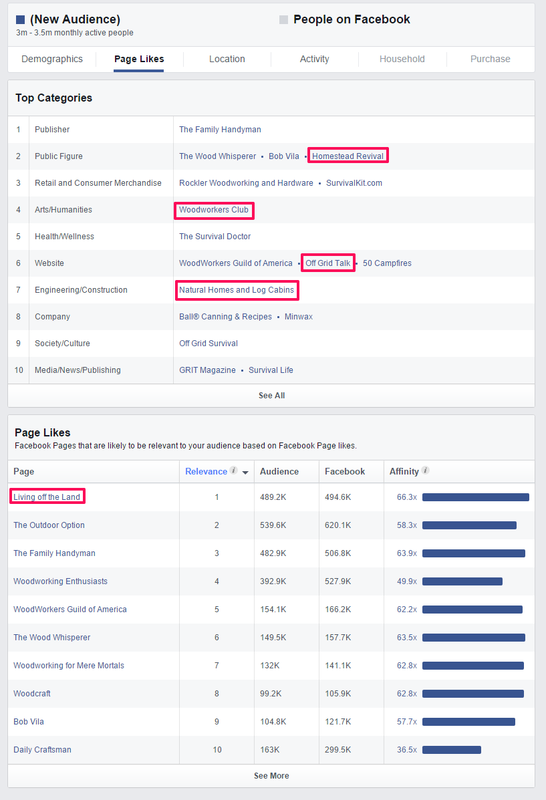 I took a look at FB but for the life of me I cannot find that audience insights tool. Where exactly is it? May I check if “profile_id=” is unique? I just tried it out on a page, and the source code showed a few “profile_id=”. The first result should be the one you’re looking for. Great inputs, Dave! Thank you. Great article, Dave and I can’t wait to start implementing these techniques. One issue that I’m having is the “pages similar to” is bringing up pages similar to an entirely different Page than the one that I’m looking for even though I followed all the steps. For example, I pulled the source id for GQ but it’s bringing up pages similar to Wired. Any idea why that could be? Hmmm, the only reason that would be happening is you found the wrong page ID. When you do the search for “profile_id=” make sure you use the FIRST result that’s found. However I keep getting the same results or it says “Pages Similar to Kereta Murah” aka it is always personal page and not a group page. Any suggestions of why it is doing this? When I follow your example exactly I come back with MY top page suggestions and pages I’ve been invited to. Sounds like you’re not getting the correct Page ID number. Make sure you’re looking at the source code for the correct page and not accidentally looking at the source code of a different page. 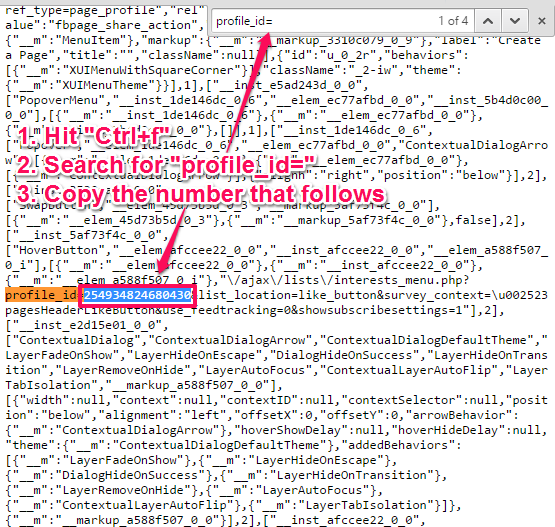 When you search for “profile_id” in the source code of the correct page, make sure you use the 1st result that’s found. This is the single most useful post regarding Facebook targeting that I have seen, AWESOME!! The Thrive Themes team Rock :-D. Thanks Dave. Awesome article! I’m going to use this with my next launch. Question: what if your ads aren’t driving them to your website but an opt-in or landing page instead(I have thrive landing pages)? 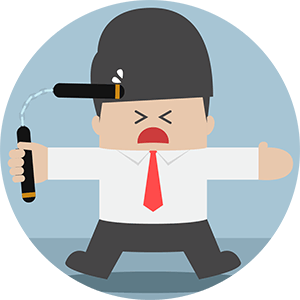 Can you still use a pixel for retargeting? Glad you enjoyed the article Kysha :) This strategy will work BEST if you’re sending the traffic to a dedicated landing page instead of your homepage. Ive just started advertising with fb for the first time as a next step. The lookalike audience option has led it to be profitable from day one, but this info will deff allow me to do a better job. Thanks!! Thanks Dave, this is great info! I really like how you explain this step by step and will give it a try. Glad you found it helpful, Daphne :) Would love to hear your results once you give it a try! Great advice – thanks. How can I use this to target book readers in a specific genre? Hmmm, a good question…I’d search for interests of well known books that are in the same genre of the book you want to promote. So good! I knew how to find pages my audience is interested in, but not how to get their demographics from the back end. Thanks a lot! Love to see you’re taking action, Leo! Stoked you found the post helpful :) Good luck with the new facebook page! i can’t finde the profile_id= on the page source code in the german Facebook. Has it another name? I posted an AD last month and got over 2000 likes and 1 conversion. I will use your technic next time I have the extra cash. Hope the technique works well for you, Dan! Solid piece of content Dave! 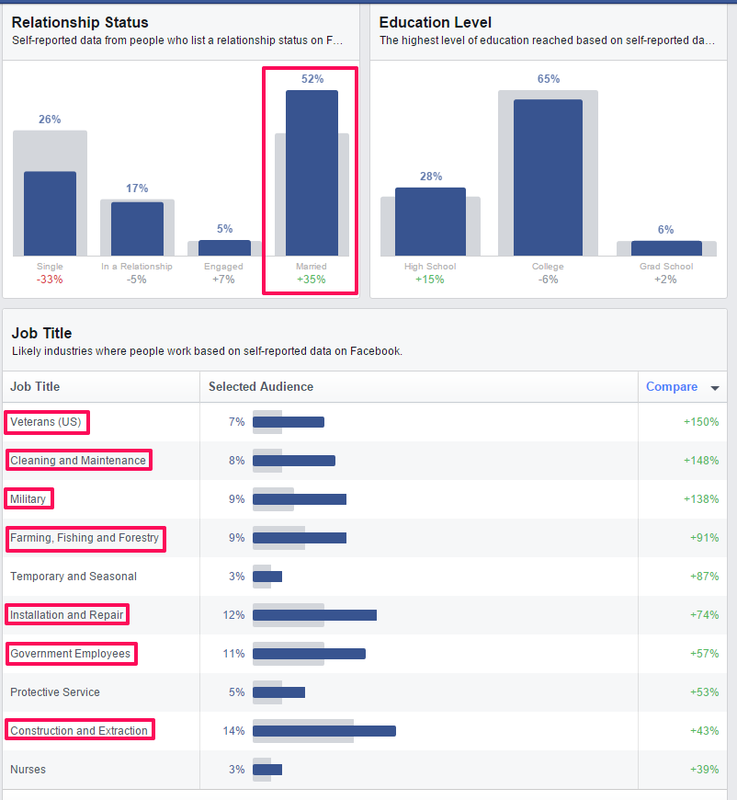 Love the way you combined FB Graph Search + ID + Audience Insights :) I’d add the following Facebook marketing hack for those going Pro: Lead Ads targeting your WCA & LA (1% best) . Great pro tip as well! Thanks Dave, a very helpful and futuristic content. Please is there any hack like this for linkedin and/or twitter? I will like to learn your hack for these two also. Thanks and keep posting the good stuffs. I haven’t done much work with Linkedin or Twitter. As they are different platforms I’m sure they have their own lil tips and tricks. I’ll have to look more into them for myself and see if I can develop a sound strategy for the platforms. An excellent post with info others would want paying for! Hi Dave, thank you for the detaile tips. You have selected an audience of fewer than 1,000 people. To protect the privacy of people on Facebook, we don’t share data for a group this size. Please change your targeting criteria to include more people. Make sure the ONLY thing you have in your targeting options is the *Revista PSYCHOLOGIES* page. Sometimes when you open the insights tool it will automatically select the United States of America in the location section. Make sure you delete that, because it will make your audience extremely small if you’re targeting a page in a different country/language like it looks like you’re doing. I did try to eliminate the United States option and still getting the annoying message. Can you please give me another option? Fantastic article Dave, grabbed a few little golden nuggets from this that will help my Facebook campaigns. I love this article, very helpful. Unfortunately I can’t quite figure it out for my own audience, as my product isn’t ‘interest’ based, but need based. So I can’t find a way to find out what Facebook pages they might be following. Once I *do* I will follow your plan! Wonderful post with lots of great information. Thanks for writing! Glad you enjoyed the article, Robert :) Good luck with the facebook ads! That was a great post Dave. Thank you. I’ve been wanting to get better at dialing-in an audience for better ROI on FB ads. This might be user-error, but I’m getting the same results as some of the others – multiple profile_id=’s on each page. Take a look at the source for the Facebook page for Aweber (https://www.facebook.com/aweber/). I find 3 profile_id= numbers (155426534507558, 47720438030, & 623215027710699). They all seem off – or way off. What am I missing? Hey Don, I had a look at the Aweber page and did the profile_id= search. You will always find multiple numbers in the source code. Usually it’s the first profile_id in the search results but sometimes it won’t be. If I perform the technique I discussed in the post and it gives me “Pages Similar to [Some page I’m not interested in]” I know I found the wrong page id, so I’ll go back to the source code and go to the next number, put it in the URL and check to see if it worked. Thanks for your response, Dave. I appreciate it. I looked again and ended-up seeing the SAME results as before (the 3 ids, none of which were for Aweber). On a hunch, I got the idea to check again, but this time using Firefox (I had been using Chrome). When I viewed Aweber’s Facebook page source, I found that there was just one profile_id=, and it was the one you found (34786336879). Not sure why that’s making a difference, but it did. Thanks for helping me solve the dilemma! Getting stuck on something so basic as profile_id= doesn’t show up in the source code ??.. Got profile_id without the “equal” sign 19 times. Also, must somehow relate back to my own site as the 1st profile_id without “=” gets me the same id from 2 different pages. Maan… what an incredible post… awesome!! i knew a few things of facebook audience insights but that “https://www.facebook.com/pages/?frompageid=ID” trick is great… since the graph search was down…. Just ran the demographics for my new athletics line and realize immediately why my ads aren’t working so great… my site and ads are targeted to middle aged women, but my FB demographic is overwhelmingly 18-24, followed by 25-34. I’ll make changes immediately! Thank you!!! Hey Dave, AMAZING article! Thank you so much! I’ve updated the post to reflect the FB changes! wonder if it’s a country setting or, simply the fact that I’m not in the US. Tried both chrome & firefox, same thing…. But, now I’ve got the number and probably a workaround. !! Excellent post. When I searched for the ID number as you said, I could only find the ID number of the pages liked by the page I aimed. The alternative method that I found was going to Photos and then to Albums (to look for the photos the page owner had uploaded). Clicking on any picture you get a long link with lots of numbers. The last set of numbers is the page ID! Hope this information is useful. the link seems dead, although https://findmyfbid.in did the job – thanks! My first language is Spanish and i understand better than videos training. It so simple, thanks a lot. PHENOMENAL Advice. Thanks so much for getting granular and giving a realistic hack. I have a 1,500 email list, but still not enough for retargeting. This will seriously help! Thanks!! Great article but what is a lookalike audience? Lookalike Audiences are a way to reach new people who are likely to be interested in your business because they’re similar to customers you care about. Thank you for putting so much time and energy into this post! I love your examples and the details you gave. Such a cool, creative strategy, can’t wait to try it out! It was a great read. Thoroughly enjoyed reading it. Do you have any experience of having setting up a campaign for a company that developes website? Amazing article with interesting case study. Thanks! Great Article. analysis . I learned a lot from the information . Does anyone know if my assistant would be able to access a template a form copy to edit ? Dave, Truly great article on focusing your ad dollars for the best possible return. This is where Facebook has a real leg up over Google when it comes to micro-targeting. I’ve used Facebook ads for some time now, but never considered some of the unique and useful techniques you deploy with this method. Thanks! Glad you enjoyed it John! Great explanation for what targeting is when it comes to facebook ads. That’s a good way to reach your audience and not waste money along the way on people who won’t care to see it. Dave, thanks for your great post. Just what I needed. hi im afraid i got held up near the beginning when i put in… profile_id= cannot search ? i keep hitting the enter button and do not get a number come up so cant conitune????? Search using ” page_id: ” instead. That should work! Totally Awesome, and thanks a lot. I’m definitely on it right now. Hi Jody, I’m not sure what could be causing this. My guess is that you’re finding the wrong page IDs, so try to use a took like https://findmyfbid.com or some of the other resources mentioned in the comments of this post. Sorry I couldn’t be of more help on this! Search the source code using ” page_id: “. That should do the trick. Hope that helps! Have you found that fb CHANGED the Audience Insights tool, so that we are not able to view the page likes anymore? It could be a funky glitch on my end, but definitely check it out for yourself and see if all is well…. or if we have to adjust how we do this. Thanks for the transparency and GREAT insight! Does anyone know if you can do this in Australia yet? It can get a bit confusing, for sure. If I create a tutorial on it I’ll let you know! View page source. When I right click nothing happens? 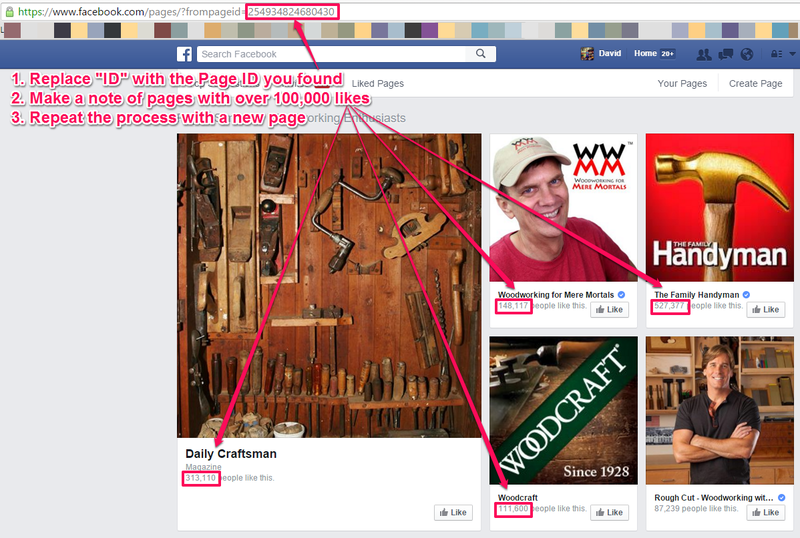 Hi Dave, I’ve used this technique before when I read your article earlier this year but now when I use https://www.facebook.com/pages/?frompageid=ID it has Pages Similar To “xxxxx” but now similar pages show. I have even copied and pasted some of the suggestion that you have put in the comments previously but with the same result. Has something chaged with Facebook or am I now missing something. Hi Dave how can i reverse engineer things if i am having the pixel id of my competitor. Not sure what you mean here Mozz, once you have the pixel id you’d plug it into the website I linked to in the article and follow the steps. Love this! However, I got lost in step #2 – finding similar pages. After I plug in the target page ID, I can’t replicate your experience, instead, I’m only landing on my own pages homepage. Tried a few different examples with no luck. Did I do anything wrong or has the FB experience changed? Hi Min, I was having the same trouble. I discover Facebook’s code must have changed. It’s not long “profile_ID=” now use “page_ID:” instead. Hope that helps! Awesome article. Thank you for taking the time to break it down step by step – really useful Dave – you’re a star! This is EXACTLY what I’ve been looking for. Thank you so much. Stupid question: Thrive Themes landing page is useable on FB right? I’m so new. Thanks. No, Thrive Landing Pages is usable on WordPress, not on Facebook. great article! I wish there was a way for me to bookmark it and have all my bookmarked/saved articles appear on my member dashboard. Sometimes I find a lovely gem like this article and then later can’t find it again….was it in blogs?? Was it in the knowledge base…? LOL. I use multiple computers/devices, so browser bookmarks are less effective than a site-centric bookmarking system. Hahaha yes, I know your pain! I use Evernote to save everything so I never have to try and remember where I saved anything because it just ALWAYS goes to Evernote. My niche (Abstract Painting) seems to be rather small on FB only found a couple of pages with over 25k Likes, and neither were in the additional interest list. I do have a list over 900 subscribers that have gotten my free lead magnet, and about 220 of them have become paid customers, with about 50 becoming avid fans. Can’t wait till I have 1000 Fans I’d love to have a look-a-like Audience from that list. In the meantime, I plan to create a look-a-like audience from the list I have, and target what I’ve observed my most engaged audience to be. Do you have any recommendations for smaller niches like mine? Hey William! Sounds like you’re on the right path. You actually only need 100 people to create a lookalike audience from, so your plan to create a lookalike audience from your 900 subscribers is a great one! If you’ve set up your Facebook pixel and tracking correctly you can also create some awesome lookalike audiences. Check out this post: https://thrivethemes.com/your-first-facebook-ad/ for more!